Indulge yourself in the refreshing taste of the finest and sweetest Italian lime sorbet with lashings of citrus tang. Sprinkled with juicy berries and a pinch of brown sugar.. This juice is 70% VG for dense clouds and immense flavour. Served up in a 60ml TPD Compliant Pack (x6 10ml bottles). Momo Lime Berry E Liquid. 60ml TPD Compliant Pack x6 10ml Bottles. Momo Lemon Drizzle E Liquid Tantalise your tastebuds and enjoy the flavours of a freshly baked le..
Momo Tropi-Cool E Liquid A smooth and delicious glass of cold pressed orange juice, perfectly ble.. 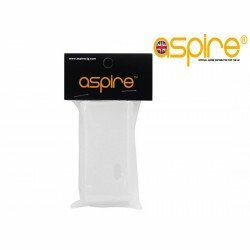 Aspire Cleito 120w Coils. 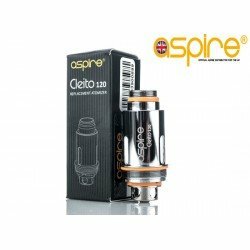 The Aspire Cleito 120w coils are the engine that power the monster that..